There will be times when you find yourself out camping and without a lighter. Such desperate times call for desperate measures, right? Before you get panicked, check out this amazing DIY trick that you can use to create fire. All that you need? 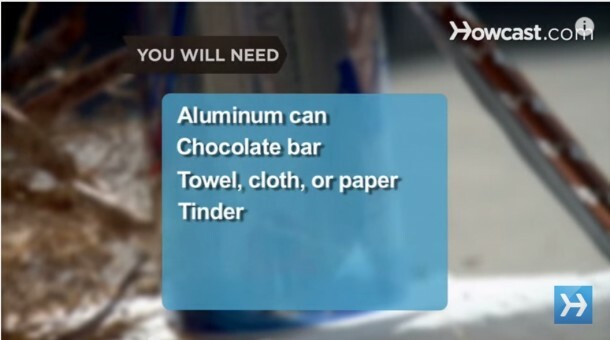 A chocolate bar and a soda can. 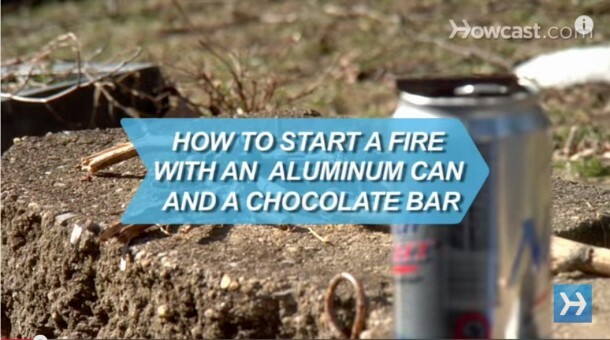 The technique is quite simple, all that you need to do is use the chocolate bar for shining up the bottom of the soda can and then use it to reflect the sunlight onto tinder that will catch fire and as soon as that happens, you will add paper/wood to it. There you go, voila! Man, this is amazingly easy and resourceful. it’s awesome. Superb ideas. i like them all.